VILLAS AND APARTMENTS TO RENT IN TORREVIEJA, SPAIN. 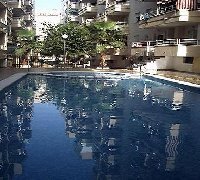 Welcome to our selection of holiday homes to rent in Torrevieja, Spain. Torrevieja ("old tower") is a seaside town about thirty miles away from the city of Alicante. Originally a salt mining and fishing village, the town has been quickly increasing in tourism over the years, which lead to the town becoming more developed, and expansion. Torrevieja has its own micro-climate due to being between the sea and two large salt lakes. It�s still relatively small though; you could probably see the whole town on foot if you wanted to but a regular local bus is available for convenience. The town is a good place for shopping with hundreds of different places throughout stocking a wide range of produces including national and international brands. The weekly market every Friday near the city centre is quite popular and is known as one of the largest outdoor markets in Europe with over a thousand stalls. There are many quality restaurants, cafes and bars in the town, which offers a wide variety of choice in national and international dishes. The Torrevieja Aquopolis is the largest water park in all of the Costa Blanca or if you prefer the beach, you can find some great Blue Flag beaches to relax upon or participate in some of the watersports here. Looking for self catering holiday accommodation in Torrevieja? Then below is a selection of apartments in Torrevieja and villas in Torrevieja that can be rented direct from their owners. You can either click on each listing for further details or you can use our search engine on the left if you are looking for something in particular.